We know meeting someone for the first time can be intimidating, and going to a new church for the first time can be nerve-racking. We want to help make your first experience at Venture Church a great one! We don't want you to live life alone and we express our love loudly. Whether it's through missional family, supporting adoption, or serving some of our strategic partners we want you to see our love where you can. Coming to church isn't just about walking into a building. It's about connecting to a community that cares about you. We want you to walk away from this experience feeling the love of Christ. We want your kids to have a blast at church! We also want them to be safe. Because of that, we have a detailed check-in process for our Kids Venture program the first time that you visit. 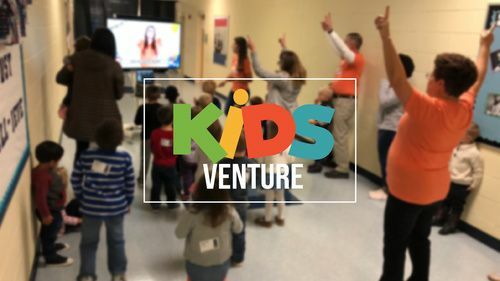 You’ll want to leave yourself an extra ten minutes to get signed in for the Kids Venture experience. Ready to check out Venture Church in person? We can't wait to meet you! Simply fill out the form below and we'll make sure you get the VIP Treatment upon your first visit. Tell us about your family...Do you have any kids infant to 8th grade? Would you like one of our pastors to contact you personally before your visit? Stay connected to Venture Church! Venture Church exists to help the people of Harrisburg, NC to trust, imitate, and extend Jesus.